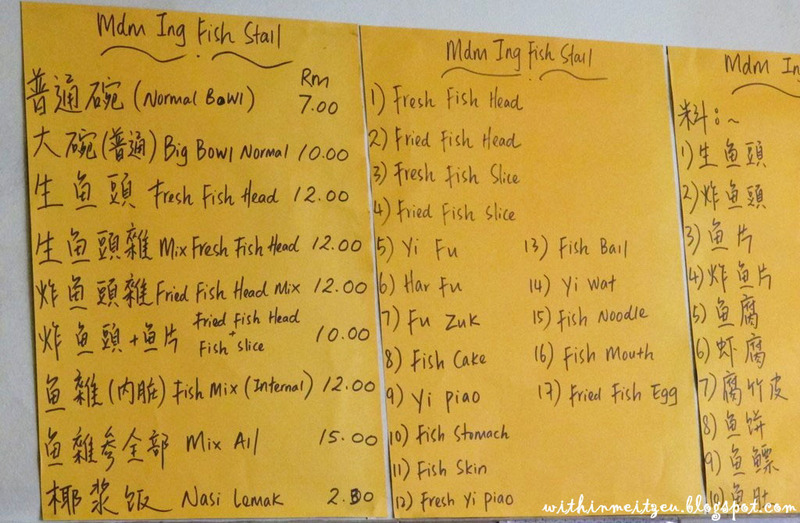 Breakfast at Madam Ing Fish Stall, Grand Millennium, Penampang, Sabah. Mr. D invited mom for breakfast on one fine Saturday few months ago, without any embarrassed feeling, me and my sister joined Mr. D and our parents for the breakfast that day.. 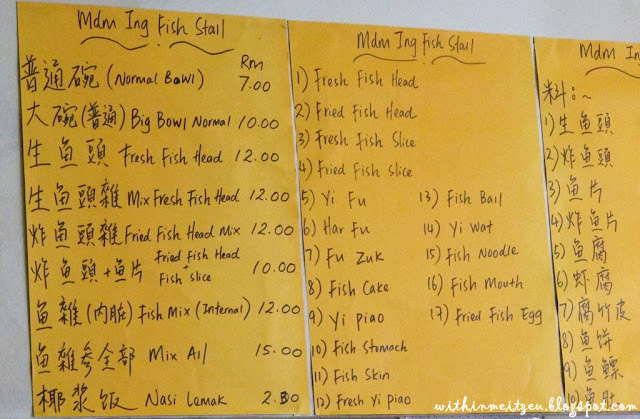 The restaurant is located at an outskirt area and while we were on our way, we were wondering how will the fish noodles taste like since he likes to eat there and recommended his friends to the restaurant for breakfast for quite a number of times. It's actually Black Coffee and Milky Tea. 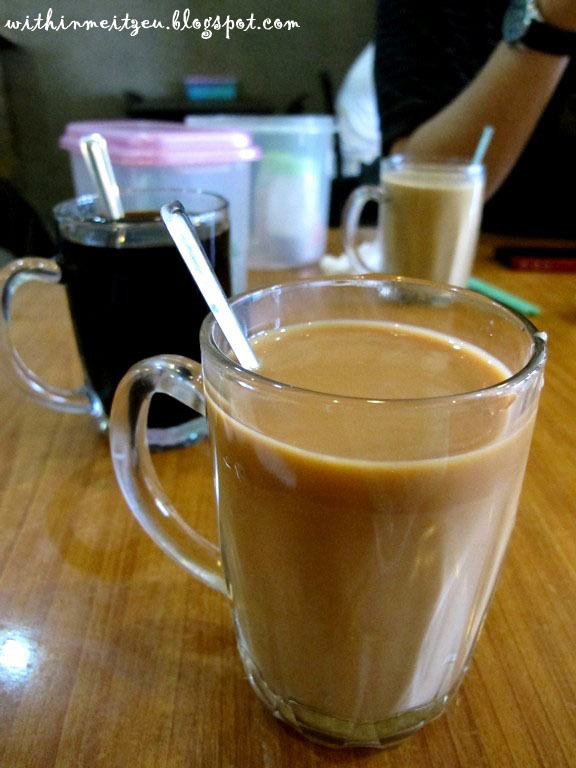 Both of it are the usual drinks that ordered by the customers while having their breakfast at any coffee shop or restaurant in town. 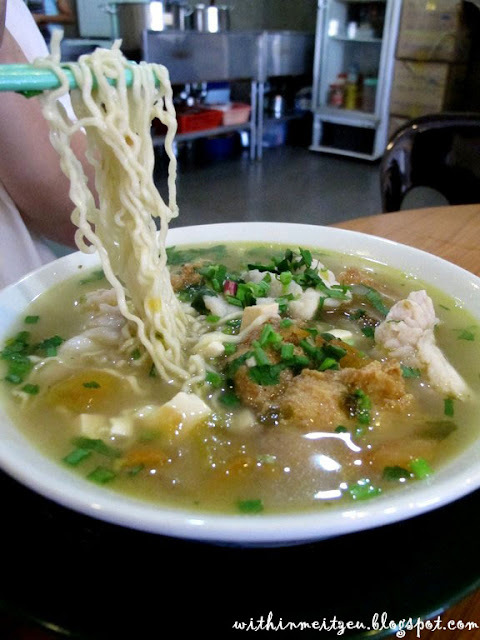 Mixed Fish Noodles allow us to taste the original taste of the bowl of noodles. Meatball says that the restaurant served one of the best fish noodles she tried so far. As for me, I had the following! I had Mixed Fish Noodles with Milk, it taste nicer though and it's also depends on personal taste buds. Some people like the original one like the previous with lighter flavour. Just like Mr. D told us, the restaurant was full while we were having our breakast. Besides, the generous Lady Boss (Yes! The chef is the lady owner) gave us quite a large portion that I can't really finish of. Such a satisfying breakfast! The list of dishes they served there. 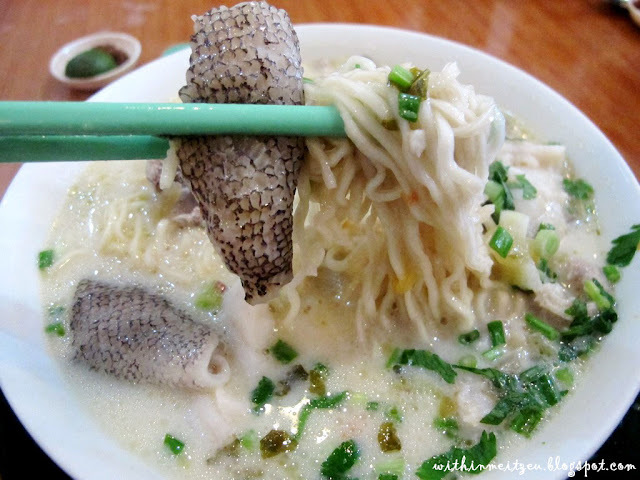 Besides, the soup can be divided into few types such as the above me and my sister had while my dad had Bitter Gourd soup. A great start for breakfast in Kota Kinabalu! Grand Millennium where CKS supermarket was located somewhere there. Madam Ing Fish Stall located a street behind the bus stop, therefore, we could see their banner hanging outside a restaurant that will be serving Western Food at night. And closed on every Monday. If you love my entry above, please VOTE for me with a click here (it's end on 20 June 2011)! Thank you!